We develop your idea with the highest quality. Contact us and get a free estimation for your project. Full stack software and hardware development for your idea. From social apps to wearable devices, mobile technology is what keeps people connected. With experience across the entire mobile ecosystem, we work with our customers to develop amazing mobile solutions that go where their users go. We offer years of expertise that stands us apart to deliver ‘from concept to reality’ by developing robust web portals, web-based software and web application solutions. We worked on projects for industries with diverse business domains, including eCommerce, Job Board, e-Learning, Banking, and Content & Document Management software. We help businesses develop smart, integrated solutions that combine sleek hardware and user interfaces with powerful software and connectivity capabilities. We work with business across the chip, system, and application layers to build amazing embedded products that rely on increasingly innovative hardware and more complex software designs. We develop the server solutions. From the elementary attendance analysis instruments for a small personal site to a heavily loaded system for a multi-user application, with high-performance requirements and disconnection proofing (offline caching), we guarantee that in the result, our customer receives an effective and safe tool provided within the planned timeframe and claimed budget. By connecting the physical world to the digital world, the Internet of Things (IoT) opens up a whole new class of business models and services, lifestyle conveniences, and human-machine interaction paradigms. We partner with businesses to develop products and services that connect these opportunities back to the consumer. In Sky-High we use our experience for creating custom electronic devices, which will satisfy our clients' goals. From A to Z, from designing PCB to fully ready for sale devices in a beautiful looking enclosure. Software defines the interactions you have with your customers. Consumer expectations of being able to work, play, and communicate anywhere and at any time have shaped the way modern software is designed, developed, and deployed. In any digital transformation — from designing a mobile app that gives customers more ways to shop, or building a wearable medical device that empowers patients to take control of their health — mobile development plays a key role. Through our mobile-first development approach, we help businesses design products that create differentiated user experiences on a mobile form factor. Native mobile app development is fulfilled through specific programming languages, such as Java for Android and Objective-C and Swift for iOS. Native mobile apps provide a high degree of reliability and fast performance. Our mobile software development team is skilled in the adoption of native frameworks and technologies. We have relevant expertise in working with native iOS SDK and its frameworks. The significant part of our development team are seniors who have professional skills in C, Objective-C, C++, Swift, and XCode development environment. Some of the solutions created include Apple watch and Apple TV app development. Our mobile app development team is very creative, and we develop our own iOS open source products. Having exceptional Android SDK and Android NDK development experience that goes beyond solely Java programming, we are capable of building powerful apps operating across over 15K various Android devices. Our specialists know how to build highly maintainable and performative apps using the main programming languages such as C++, Java, and Kotlin. In this technological era, the world has become a marketplace, and the only way to tap the potential of this abundant market is by creating a motivating website for your business. 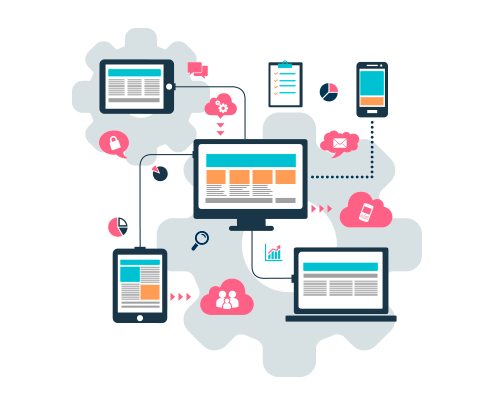 Web development is the art and science of building web applications, coding in a way that adds functionally to your website and motivates your prospects to take the desired action. At Sky-High, we have a team of experienced and expert professionals adept in latest technology. We give our clients a cutting edge by creating a feature-rich website that connects and interacts with their customers and leads to improved conversions. If you’re like many small business owners, you don’t want to pay a fortune for an overblown website full of features you don’t need. But you don’t want the hassle of doing it on your own. Our small business websites make it simple for you to get just the functionality you need, plus unlimited updates, all for a fraction of the price. B2B, B2C, and everything in between. We dig into who you are and what you’re all about, so we can deliver a fully custom website that showcases your unique brand. And like all our websites, it’s not just about looking pretty. We design for results and optimized experience across all devices. We love lead generation as much as the next marketing agency, but we love helping you make money even more. We’ll optimize your site to convert visitors into buyers and add payment processing, shopping carts, and more to make their transactions a breeze. Let us transform your site into a sales machine! Sky-High not only offers software development services, but we provide hardware development services as well. If your app requires a hardware component contact Sky-High for a consultation. We will help with embedded microcontrollers, sensor integration, device testing, remote monitoring, telepresence, control systems, power management, robotics, and other hardware requirements. Mobile transformation is high on the business agenda. Sky-High has significant experience in designing custom devices and integrating them with mobile apps working on various platforms. For instance, has assisted our clients with obtaining the MFi license in the past, we are now able to create solutions that meet the strict certification requirements set by Apple. Our engineering staff is unsurpassed at creating custom hardware products using the most cost-effective methods. We solve the technical complexities and time to market issues that help make our customers top in their field. Our world-class system level software development expertise helps us provide the best solutions for turning your concepts into reality. We offer a variety of engineering and consulting services for hardware design and development. We develop customized hardware in control, sensor and measuring technologies. We also supply efficient solutions for simulations, prototypes, and small production runs. From conception to prototyping, we take care of all development and provide you with full documentation, including parts lists, circuit diagrams, assembly instructions and testing instructions. Our back-end development services are not just about making a server, application, and database to communicate with each other. It's about building a product that works seamlessly, meet market needs and creating an enjoyable user experience that earns your clients loyalty. The back-end is arguably the most important part of any software. Despite the fact that it is hidden under the hood and away from the user's eyes, it is the very thing that makes the software tick and ultimately serves as a foundation for solid user experience. Without a quality back-end, the software will not be able to function in the way the user expects it to. We at Sky-High specialize in providing high-quality back-end development services to both startups and large companies, creating solutions that will help you carry out your plans, bring your product to market faster and ultimately increase your revenue. Because the software applications are ubiquitous and become more complex by the day, it is extremely important for the server system to remain at the peak of innovative tech to ensure the task performance. If you are thinking of outsourcing back-end development services, we might be on of your top picks of back-end web development company. For years, we develop the server solutions. From the elementary attendance analysis instruments for a small personal site to a heavily loaded system for a multi-user application, with high-performance requirements and disconnection proofing (offline caching), we guarantee that in the result, our customer receives an effective and safe tool provided within the planned timeframe and claimed budget. Our expert specialists will provide an individualized solution for your every system and requirement, be it local or remote, and take care of all the development and support stages, beginning with the requirements analysis and ending with the record keeping. Our backend development team consists of professional programmers and engineers. Let Sky-High's architects and senior engineers get to design and build the core of your application — with an eye for availability, robustness, and great new features. 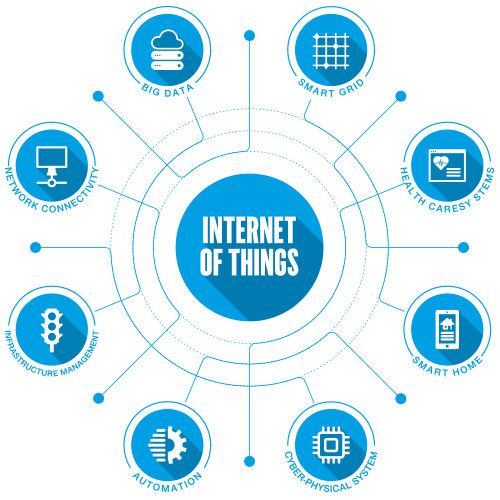 From industrial automation to wearable electronics, Internet of Things revolutionizes the way machines interact with machines, systems, and people. 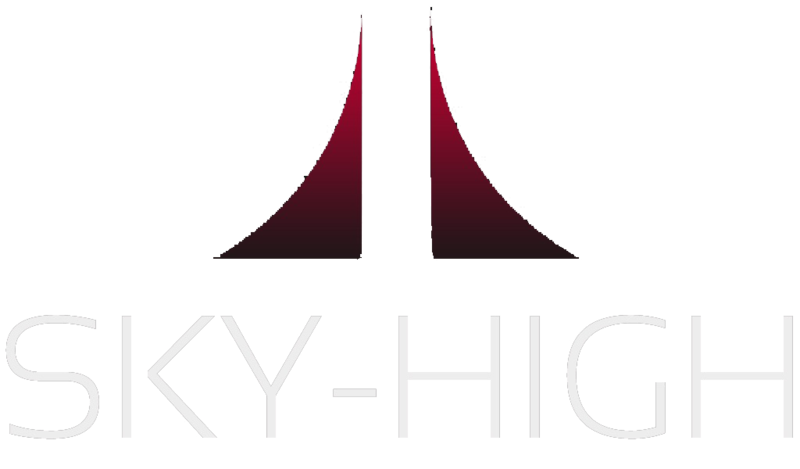 Many years of experience and a solid track record of hardware product design and embedded systems development allow Sky-High to deliver innovative and competitive solutions to clients across various industries. Having a strong combination of hardware engineering and software development skills, our team will be supporting your project initiatives during the whole product lifecycle. 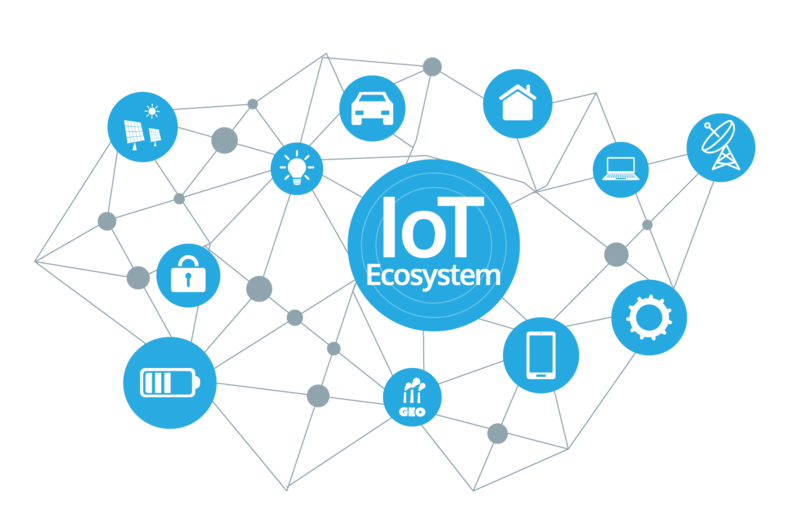 Sky-High offers a team of world-class IoT developers that delivers smart and highly secure IoT software and applications. We are experts in system engineering and cloud programming. 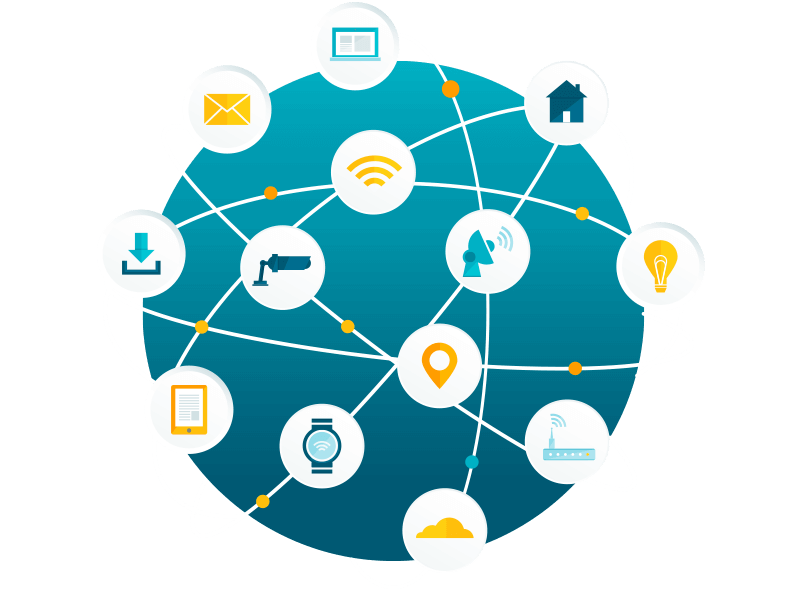 Our IoT development team specializes in front-end and back-end programming. Therefore, we are capable of reading the data that comes from the sensors connected to an IoT device, sending it to the server, storing this data, and finally displaying it to the user’s device. Our IoT developers understand all the specificity of the IoT concept: deep knowledge of sensors and wireless communication, background in computer science and software engineering, and focus on user interface. Sky-High is a great team of makers and inventors. We truly enjoy working on innovative projects and using cutting-edge technologies. Offering the highest level of quality in custom fabrication, we build enclosures of all styles, including rackmounts, consoles, and fully custom designs. Our enclosures are fully finished, meaning you can include hardware, fasteners, brackets, hinges, and accessories. You can also customize your enclosure with a variety of in-house finishes, including powdercoat, direct digital printing, grained finish and permanent marking. There are no minimum orders, and we'll build anything from prototypes and one-off designs, right up to high-volume manufacturing runs that take advantage of our blanket order program.